This ballet-inspired barre fitness class is a full body workout that will tone and energize you. Exercises will be both on and off barre, and will include but are not limited to such movements as plies, planks, kicks and stretches. A fusion of dance, pilates and yoga, this class is suitable for individuals at any fitness level. Movement is to music and can be modified according to your fitness ability. Please bring water bottle, towel and yoga mat if you like. You may also bring light hand weights if you wish to increase the resistance. Taliah has been a student of dance and fitness for many years. A native of Boston, Massachusetts, she studied Tap, Modern Jazz, Ballet and Hip Hop ay a number of studios in Boston and New York City. Using her background in dance as a platform, Taliah has ventured into many areas of the entertainment industry including but not limited to stage, television, film, and music videos. As a member of Phunk Phenomenon Dance Company, Taliah performed at a number of Boston Celtics games. And as she continued to perform with Phunk, her love of their high-energy dance performances created a segue into her love for fitness. Taliah is passionate about fitness and wellness. She strives to make each class an EXPERIENCE, reminding the participant that fitness and dance isn't something they are doing because they NEED to but because they WANT to, thus gaining enjoyment with the overall health benefits. 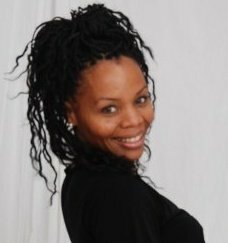 A mother of 2, Taliah is still an active performer and dance instructor. Her classes have been attended by many individuals, young and old, at a number of well known studios and athletic facilities across New England. Despite having a history in ballet, you don't need leotards, tap shoes, or even rhythm to engage in a barre fitness class. 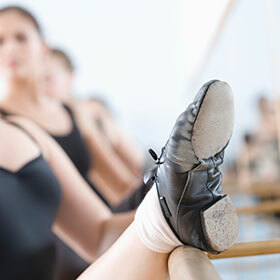 The barre provides stability and a way to stretch and train your muscles in ways otherwise difficult to achieve. Experience a Barre Fitness class yourself! Fill out the form for more info, or to sign up!